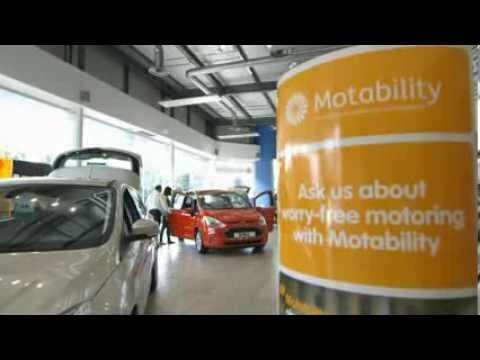 Marshall Hyundai proudly offers cars through the Motability scheme to help customers with mobility difficulties drive independently. There are a number of cars you can choose from in the Hyundai range. The choice starts from the smaller city cars and hatchbacks, such as the i10 and i30, through to SUVs and crossovers like the Santa Fe and Tucson. You can also opt for the innovative IONIQ which makes use of eco-friendly electric technology to power the car. Thanks to our exclusive offers, often including low to zero advance payment, you may be able to drive away in a more luxurious model. Through the scheme, you can drive a brand-new Hyundai every three years with a 60,000-mile allowance. This generous allowance covers the majority of drivers’ everyday journeys. You simply pay for the monthly instalments through your mobility allowance. If the car you choose is more luxurious, you may have to pay a bit more, either in the deposit or monthly payments. These instalments include all road tax, servicing and maintenance costs, including windscreen and tyre replacements. Accident, breakdown and insurance cover is also built in, with up to two named drivers, making the process of driving a Hyundai as stress-free as possible. We’ll take care of the whole process for you and organise the adaptations, most of which are free of charge. Whether you need more stowage room, extra help getting behind the wheel or devices placed near your hands to control the car, we can advise you on the most appropriate alterations. You are welcome to come along to the showroom to discover the Hyundai cars on offer and speak to one of the team about getting a car through the scheme. Alternatively, call us or fill in an online enquiry form if you have any questions.